The Spanish and Latin American Studies program will allow you to acquire and improve your Spanish language skills and increase your awareness of Spanish and Latin American culture through a variety of authentic written and spoken and visual materials. You will also learn to interact with other Spanish speakers at a sophisticated level. The program also provides opportunities to undertake independent research projects into different multidiscplinary areas of study including language, literature, culture, politics, cinema, theatre, music, food and identity. The program has agreements with universities in Spain and Latin America, which allow students to undertake exchange and study abroad options as part of their Spanish studies. As part of Ancient World Studies, you will have the opportunity to experience Object-Based Learning (OBL) throughout your studies. Object-Based Learning encourages you to engage directly with cultural objects in a manner that moves away from the traditional, passive approach to imparting knowledge. 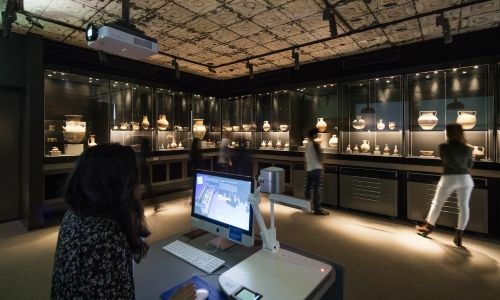 With access to two Object-Based Learning labs equipped with in-built display cases, you will have the opportunity to engage directly with cultural objects to closely assess and analyse how these objects relate to theory. The integration of objects into subjects taught in the Bachelor of Arts is made possible by drawing on the University's vast cultural collections.